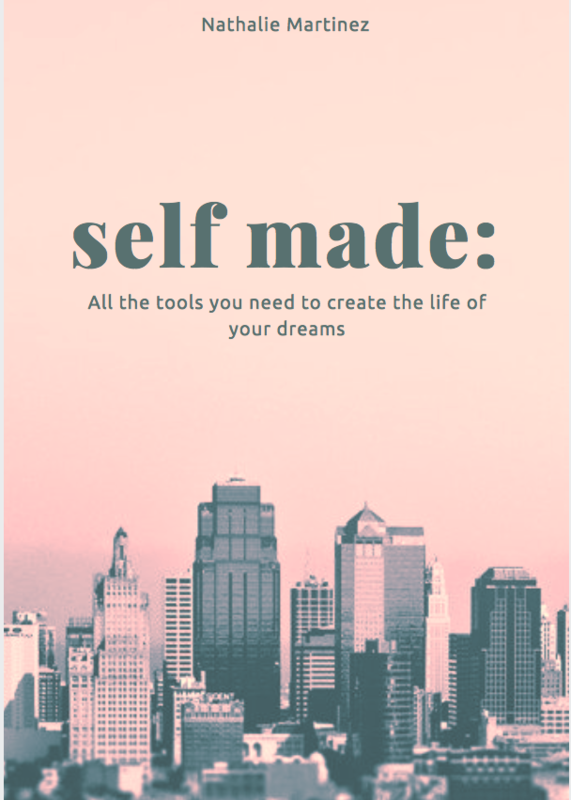 Self Made is an inspirational book and self-reflection journal designed to discover what you truly want in life, brush up on your goals, and master the steps to take action. You’ll be guided with countless thought provoking questions throughout the book for you to reflect and rediscover what you truly want in life. Exercises and prompts will be provided to inspire you to write down your desires and set goals with an action plan. You’ll learn all the principles you need to create the life of your dreams, including letting go of fear, living with purpose, raising your standards, taking action, and more. These principles presented in the book will get you into the right mindset to take on your dreams. Be prepared to feel invincible and happier knowing you’ve discovered a step by step guide to creating the life you’ve always dreamt of! Click Here to buy Self Made.